What we might not think about is nature. Rambling through a forest. Reaching the peak of a hilltop. But at the IPO, we know that IP and innovation is everywhere. Whenever possible, I love to spend my weekends out exploring. 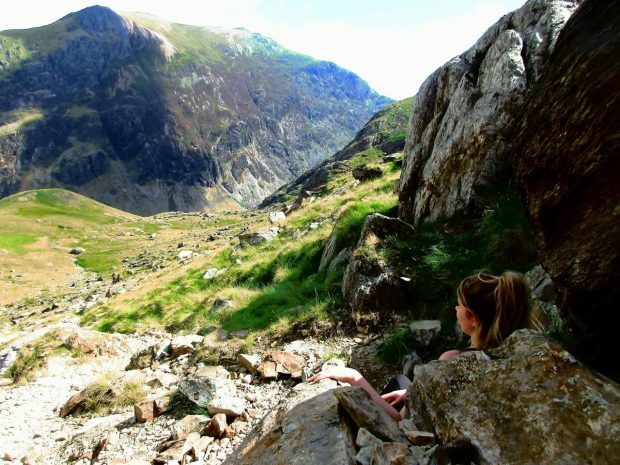 And there's no shortage of things to see and do in my beautiful home country, Wales. It's perfect for trekking up mountains and bumping into some adorable sheep - followed by a trip to the local pub for a hearty meal to warm up! 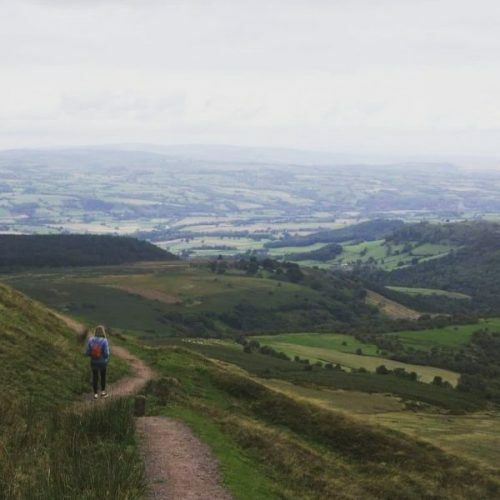 I headed to the Black Mountains of the Brecon Beacons one drizzly and blustery weekend, in an outfit entirely unsuitable for a hike. While a vintage denim jacket and plimsoles (or daps as we call them in Wales!) may be considered fashionable, they’re certainly not practical for these ferocious conditions. 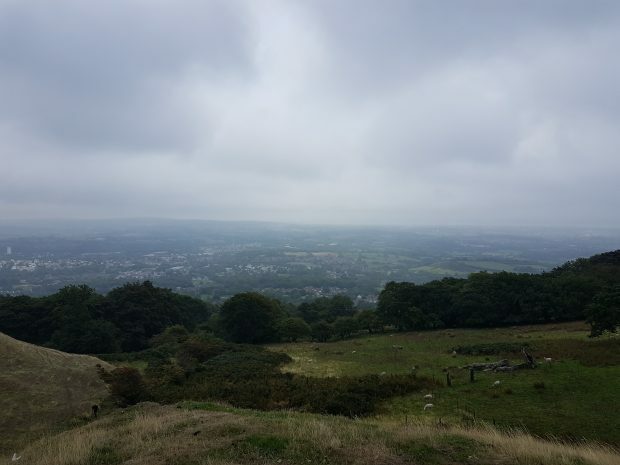 I found myself longing for my sturdy walking boots and waterproof fleeced jacket, designed specifically for an activity such as the one I had embarked on. The outdoor clothing and equipment industry is a big business. You are likely to see at least one shop on your local high street catering to the intrepid explorer: Mountain Warehouse, Trespass and The North Face to name but a few. Their innovative products, equipped with patented elements, are designed to protect ramblers on their journeys. It’s hard to think of marrying the word ‘innovation’ - with its connotations of high-tech advancements - with breathing in fresh air from the top of a mountain or the salty tang of a sea breeze. But the elements behind the clothing and accessories we wear while we climb, ramble and surf can help keep that taste for adventure alive. Intellectual property aids these outdoor explorations. Take, for example, the company Gore-Tex ® and its innovative products designed to keep walkers warm and dry on their mountain hikes. The initial Gore-Tex ® patent application was filed in 1973 for “very highly stretched polytetrafluoroethylene and the process thereof”. In other words, creating material that helps protect people against the wind and rain. Now, 45 years on, this is a commonplace fabric. That’s because patents give protection for 20 years, provided renewal fees are paid each year. This is the case with Gore-Tex ®. Over the last 45 years, the company has gained significant brand recognition and continually improve their products. Their inventions much-appreciated by ramblers include a membrane that keeps jackets waterproof but breathable, and lining in walking boots to keep your feet dry. Gore-Tex ® aren’t the only innovators aiding explorers through intellectual property. From the YKK waterproof zip, to the Berghaus adjustable hood mechanism, without IP, our treks would be a lot harder and much less enjoyable. These inventions would certainly have benefitted me when forcing myself up the last stretch of the mountain, shivering and damp. We often hear about people being glued to their phones and the bright lights of big cities. But we also hear of people craving fresh air on a hillside or finding their way through a fairytale-esque woodland – even if it's just to make their Instagram account look pretty. Intellectual property not only supports entrepreneurs in busy cities looking to grow their creative businesses, or large companies looking to protect their assets. IP also allows us to take time out of our working life and go on explorations, assisting us as we seek to take care of our wellbeing. Was I able to walk up Hay Bluff mountain in my daps and denim jacket? Yes. Did I have blisters and was shivering at the top? Also, yes. Next time, it’s safe to say that I’ll make use of the innovative activewear available.